Continental AG has decided to increase the annual production capacity of its manufacturing unit in Hefei, China, that was established four years ago. This strategy, according to Nikolai Setzer (member of Continental executive board and head of Conti tyre division), will allow the company to target Original Equipment business in China and fill the demand in the replacement market. 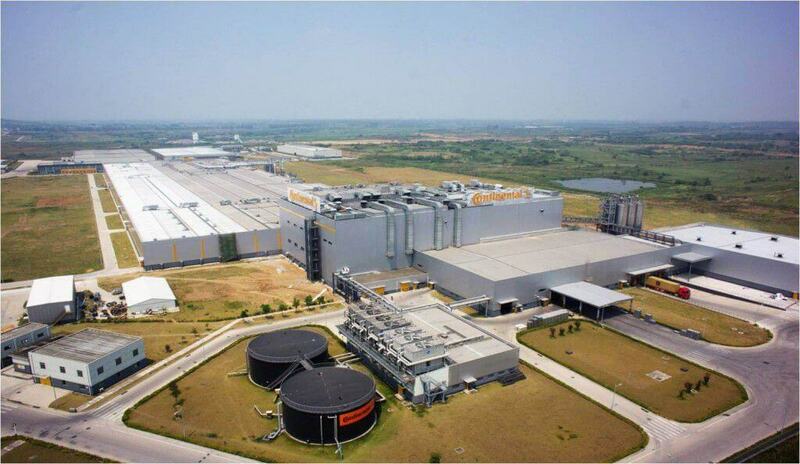 Continental revealed that they will be investing approximately $280 million into the facility that is expected to increase the plant capacity by 75 per cent, taking it up to 14 million car and light truck tyres, and increasing the bicycle tyre capacity by 6 times, taking it to 13 million tyres, by 2025. Presently, the plant does not manufacture truck tyres but Setzer said that they are open to the idea of making truck tyres also if the demand justifies the extra investment. After this expansion, the employment is expected to get doubled to 2,700 from the current 1,150 at the plant. However, the company did not say if the building size would also increase from the current 753,000 square feet. Continental has also made the R&D center operational at its Hefei plant and the Automotive division test center in Jiangsu Province will be operational in the first half of 2016. The R&D center at the Hefei plant takes up 64,500 square feet area and has a capacity to test 6,000 tyres annually. The center was constructed with an investment of $4.5 million. It will focus mainly on developing and testing summer and winter tyre for Asia/Pacific region. “The guiding principle behind our growth in the booming Chinese automotive market remains our motto – ‘In the market, for the market’,” Setzer added. The testing is designed to develop tyres that will reinforce Continental’s market position in the region.